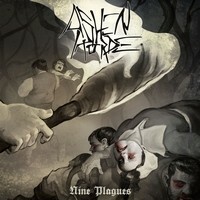 It’s been a while since we first discovered Ashen Horde on a random click within Bandcamp. It’s been interesting to watch the act, initially a one-man band of Trevor Portz, grow and mature in the way that the multiple influences and metal styles meshed together to make something unique. The band’s newest album, Fallen Cathedrals, is now available and sees Portz (and vocalist Steve Boiser) delivering their finest moment to date – a concept album that hits quite a few styles and turns them into an epic piece of metallic storytelling. We figured it was about time to call up mainman Portz for a round of Q & A, in which we discussed the ins and outs of Ashen Horde, concept albums, and the challenges of exposure. Dead Rhetoric: When did you first think up the idea of Ashen Horde? Trevor Portz: Thinking back, I guess it became kind of a real thing in late 2012. I had moved to LA from New York, where I had lived for like 10 years. I had been playing in a garage-rock type band. When I moved here, I didn’t have a band and I didn’t know anybody but I wanted to start doing something again. I guess I took inspiration from Dave Grohl and some other people that did solo stuff and decided to attempt to do something all on my own. Initially I had a band called Bite Wound, which was a punk-y grindcore thing. I put a record out, no one cared, but it gave me the boost to say that I could do it on my own. 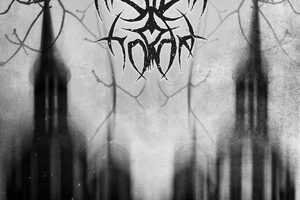 I dug out some songs that I had been writing in the black/death metal vein over the last few years and wrote a few more, and that became Ashen Horde. I would never guessed I would be making a third album ever, for any band I was in, because I had a problem with never finishing anything. So it’s really exciting to be at this point, and people seem to dig it. Dead Rhetoric: How do you view the progression of Ashen Horde from your first material to Fallen Cathedrals? Portz: I’d like to think it’s a little more focused – the vision. I had a rough idea of what I wanted to do back then but I think it has shaped up to be more consistent at this point. But it’s an hodge-podge of styles so I don’t know if it would be apparent to anyone reading this. But yeah, I wanted to do something that incorporated all of the types of metal that I was into, particularly prog, black, and death metal…maybe some thrash. At that point, I was feeling it out, but I feel like I’ve found the Ashen Horde sound at this point and have refined what I am doing. Hopefully that’s true [laughs], I feel like I’m pretty confident in what I do now, but that would be the biggest change. I know what I am going for now. Dead Rhetoric: Being that this is your third album, did you have anything specifically you wanted to accomplish with Fallen Cathedrals? Portz: I guess more cohesive songwriting was something I was aiming for. Again, with the mix of styles it can be a bit jarring if that’s not something you are into. I really wanted to reflect what was going on in the underlying story, so that’s one thing I was aiming for. Rather than what I have done more in the past, where I wrote songs and then fixed the story later. With this one, I really wanted the story to play into the songs a bit. If there was an action theme, the music would be more aggressive. If it was dealing with someone’s innermost thoughts, it would be more reflective. So that was one goal. The other one was pushing the melodic side of the band a little more. That is what led me to put clean vocals on there. I was reluctant at first, but I’m super into melodic stuff and figured it was time that it crept its way more into Ashen Horde. Dead Rhetoric: Yeah, I think the added styles push you guys a bit farther. Portz: I didn’t want to follow what Opeth and a few other bands have done. I love them, and that they have followed their hearts and turned into a ‘70s prog rock machine, but I do want to maintain Ashen Horde as an extreme metal band. But you never know, if I change my mind someday, we’ll become an acoustic folk duo. You never know! Dead Rhetoric: Can you talk about the concept behind the album? Portz: It’s a book called High-Rise by JG Ballard that I read a few years ago. They actually made a movie of it, I believe Jeremy Irons is in it. I have not watched it. But I really loved the book. In this dystopian future, you have all of these people living in a big apartment building. The poor people live on the bottom and the rich people on the top. There’s all this tension that explodes and causes class warfare within the building. I liked that concept and I blew it out into an entire city. The poor live on one side and the rich on the other. They have maintained this delicate stasis over the years, but something happens that offsets the balance and they start going at each other. It gets darker and more vicious and it devolves into these angry primal tribes doing horrible things to each other. I strive not to be political in the band, but at the same time, I think it’s relatively drawn from actual events going on in the world, so there’s a little bit of that too. Dead Rhetoric: You have done a concept album in the past as well – Nine Plagues was conceptual too right? Portz: Yeah, actually everything that has been done has been conceptual thus far with the exception of the Echthros EP. Apparently when I write metal stuff I do better with long form rather than individual songs/stories. Each album has been a different kind of story that I have come up with. Dead Rhetoric: So what do you like doing an entire concept versus having individual stories/songs? Portz: It’s funny, because I’m working on another album that will be out later this year hopefully with a different band. I wrote all of the stuff there too – but it is all individual songs. But for whatever reason, I seem to have a hard time getting out my ideas in a 4-minute song. It’s apparently how I think, which is much broader. It seems to fit my style [with a full concept]. I didn’t really start out to do that, but it seems to work for me. Apparently I just like to talk a lot. Dead Rhetoric: How important is the mix of genres and ideas into the idea of what Ashen Horde is? Portz: I think, from a musical standpoint, it’s the key element for Ashen Horde. When I started it, that was what I wanted to do. I listen to a ton of stuff, both in and out of the metal world. I have always been drawn to bands that do different things. There’s a group called The Wild Hearts, they are a British rock band but they incorporate everything from bubblegum pop and pop/punk on one side to thrash and stuff on the other. Everything else is mixed in there too, and I love that. I love not knowing what to expect from a band. I love things like AC/DC and stuff, where you exactly what you are going to get, but I’m drawn to bands that try different things and try to be as unique as possible. Going into Ashen Horde, that was the one thing I knew I wanted to do. Whatever I think sounds cool, it’s going to go in. I’m not going to force it into one genre. I think that’s what defines the band. Dead Rhetoric: The way the band is set up too, you don’t have anyone who is going to say no or suggest that you have to do it a different way. Portz: Yes, for better or worse. If you love it, great – you can put that on me, but if you hate it, that’s all on me too [laughs]. There’s no other voices that can share the blame with me. Dead Rhetoric: Do you feel more comfortable in handling all of the writing as opposed to forming an entire band? Portz: It’s funny because when I was in bands before and it was more of a group effort, I enjoyed that too. But I tend to be very protective of songs I write. if I come up with something, there’s a very good chance I’m not going to want you to change it. But if someone else were to contribute a song on their own, I’m totally open to that. But as a solo project for a few records, I haven’t had that issue. I like to have control, and when I am thinking of a story and the music that goes with it, I often think of it as a whole and that makes it difficult to bring people into that scenario. Portz: Exactly. I’m not opposed to collaboration, but I think I would have to go into it with that mindset. At this point, Ashen Horde is not set up for that [laughs]. Dead Rhetoric: Would you ever consider making Ashen Horde a full band, or like you were just saying, do you kind of look at it as your baby? I know you said you were working on something with a different band. Portz: That one is a full-band, with all live people. I have thought about expanding Ashen Horde into a full band – whether or not we become a performing entity is up in the air but I would like to do that. We had a live drummer on The Alchemist single and that worked out really well. I was just working with Robin Stone from Norse, a really awesome, creepy black metal band from Australia. He just laid down drum tracks for a few songs and I’m fairly certain he will end up drumming on the next record. I’ve also been talking to a bass player, so the next album may end up having a full band. Dead Rhetoric: What do you feel that Stevie Boiser has added since you started working with him? Portz: Stevie’s vocals are out of control in an amazingly good way. I had done vocals on the previous albums, and they were fine. But I’ll be honest, they never matched what I heard in my head. I had all of these visions for these crazy dynamic vocals that I just couldn’t pull off. So when I blew my vocal cords out and had to have surgery, I went on a singer search and found Stevie. He has such a dynamic range that I cannot achieve. When I got the first couple of songs back from the EP he did, I was like “Wow!” They sounded so much more like I had envisioned and beyond, because he was doing stuff that I never thought of. He brought this huge, dynamic element to the album and improved it nicely. Dead Rhetoric: I know he has taken off since then, he’s in a bunch of bands now! Portz: Oh my god, it’s like the year of Stevie Boiser [laughs]! The Equipoise record is doing insane, he is also in Inferi now and touring with them. I’m trying to tap into him as often as possible when he is not doing those things so I can get it out of him. Dead Rhetoric: I know the way I found the band was through Bandcamp. Do you feel that the their format has been integral in getting your music out in the past? Portz: Without that, I don’t know how I would have built up the relatively small following that Ashen Horde has now. It’s such a great platform – its easy to put your stuff out, it’s a nice centralized location, and I think people really know to go look there for new stuff. It’s been really helpful. If you were to sell it on Amazon or the other traditional channels, even Spotify, it just gets lost. But in this underground scene especially, they know to go to Bandcamp and look for new stuff. It’s been a real benefit. You found it there randomly, so clearly it works. Dead Rhetoric: With that in mind, what has been challenging about getting the band name out there? Portz: Everything else. While Bandcamp has been a relative success, I’ve found getting the word out to be a very arduous challenge and I’m not sure how to overcome it. I’ve tried a variety of things – having the label this time and an actual PR person attached has been great in terms of getting it to zines and stuff, but I feel like getting real traction has been a real challenge. I’m not sure what else to do, but I’m sure we are not benefitting from lack from touring. I know getting out there on the road would be great, but it’s tough. I don’t honestly know what the next thing is. I was talking to the guys from Hoth and they were saying that it was like the singer from The Black Dahlia Murder commented that he liked their record on Reddit or something and they blew up overnight. I guess I’m waiting for that – I need the one person who is a major influencer to love the record and maybe that will do it. It’s been a slow burn – I don’t know what the secret is but I would love to figure it out. Dead Rhetoric: I think I alluded to this in the review, but I think nowadays if you have a more unique sound, it’s a harder sell. You can’t say, “If you like this, this, or that – check this out.” You have so much stuff going on within the band that it makes it harder to do that. Portz: Yeah, that has been a bit of a detriment. It’s not that I think everyone is just looking for an exact clone of what they already like but it makes it tough. I’ve noticed that in some of the criticisms that the band has gotten in reviews – it’s too many things. One reviewer said that it would have been a better album if it had just been focused on one style. On the one hand, I’m like it is what it is – if that’s what you don’t like, its fine. Clearly it wasn’t made for you. But it does make it harder. 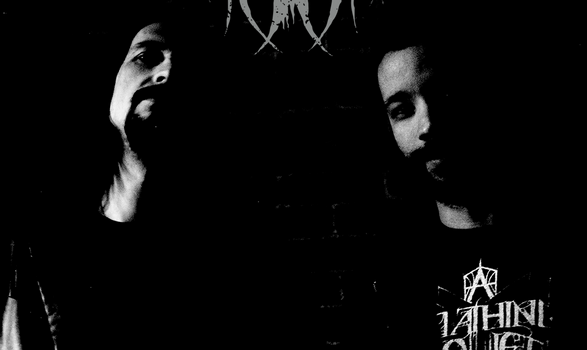 People are looking for say, a black metal record…it’s not that. If they want a death metal record, it’s not that either [laughs]. Dead Rhetoric: It’s that niche you are going for [laughs]. Dead Rhetoric: In contrast to all of that, what do you enjoy about the metal scene today? Dead Rhetoric: What’s the plan moving forward after Fallen Cathedrals is released? Portz: I’m hoping good reviews keep coming in and that people that have ordered it, dig it. People who haven’t managed to hear about us yet will stumble across us in one way or another. I hope fans like it and that if new fans are waiting around the corner, that would be great. We will keep trying to push it and get it into the hands of people who we think will dig it. I’m pretty workaholic-y about [Ashen Horde]. I’ll just keep working. I’ve got the songs I mentioned that Robin has been working on, I’ve got the vast majority of the next record written so I’ll just keep moving forward. The fact is that whether it blows up or doesn’t, I love it and I’m happy with what I have done. There’s no reason for me to stop it at this point. I certainly wouldn’t complain if it sold a million copies, but creatively I am satisfied. With each record, I hope I can push it a little further, and that some people like it.